Adjust your seatbelts, as a new GT Sport update is racing toward the finish line with Patch 1.34. It has added more cars, a track, and a new league event. First, new cars have been added to Brand Central. 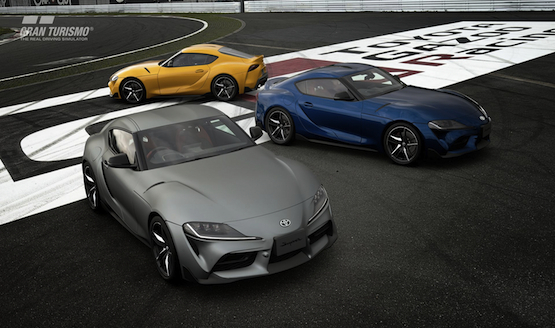 The Supra recently made its debut at the 2019 North American International Auto Show, and now you can virtually drive it in GT Sport! But how about a new track to ride these cars on? Well, you’re in luck! This update includes the Autopolis International Racing Course, a challenging course set in the southwestern islands of Japan. It has a couple of difficult consecutive corners in sectors two and three. The slopes are also unpredictable in this mountainous setting. This new track has been added to the Scapes mode, so you can take pictures of your car maneuvering around those turns.